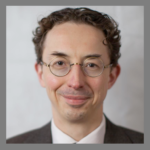 Questions: What are wrong views and how might we refute them? 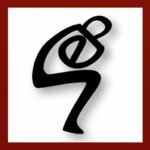 Why are the two truths necessary (relative truth & ultimate truth)? Also available: audio/video recordings and transcript/translations for Week 3. In Week 3 we will be starting the philosophical core of the Madhyamakavatara (Introduction to the Middle Way) in Chapter 6, Verses 8 to 44, pages 71 to 155 in the PDF version. Among the many similes for conventional truth that litter Madhyamaka texts, the most fruitful is that of the mirage. Conventional truth is false, Chandrakirti tells us, because it is deceptive. Chandrakirti spells this out in terms of a mirage. A mirage appears to be water but is in fact empty of water—it is deceptive and, in that sense, a false appearance. On the other hand, a mirage is not nothing: It is an actual mirage, just not actual water. The analogy must be spelled out with care to avoid the extreme of nihilism. A mirage appears to be water but is only a mirage; the inexperienced highway traveller mistakes it for water, and for him it is deceptive, a false appearance of water; the experienced traveller sees it for what it is—a real mirage, empty of water. Just so, conventional phenomena appear to ordinary, deluded beings to be intrinsically existent, whereas in fact they are merely conventionally real, empty of that intrinsic existence; to the aryas, on the other hand, they appear to be merely conventionally true and hence to be empty. For us, they are deceptive, false appearances; for them, they are simply actual conventional existents. We can update the analogy to make the point more plainly. Imagine three travellers along a hot desert highway. Alice is an experienced desert traveler; Bill is a neophyte; Charlie is wearing polarizing sunglasses. Bill points to a mirage up ahead and warns against a puddle on the road; Alice sees the mirage as a mirage and assures him that there is no danger. Charlie sees nothing at all and wonders what they are talking about. 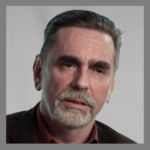 If the mirage were entirely false—if there were no truth about it at all, Charlie would be the most authoritative of the three (and Buddhas would know nothing of the real world). But that is wrong. Just as Bill is deceived in believing that there is water on the road, Charlie is incapable of seeing the mirage at all and so fails to know what Alice knows—that there is an actual mirage on the road, which appears to some to be water, but which is not. There is a truth about the mirage despite the fact that it is deceptive, and Alice is authoritative with respect to it precisely because she sees it as it is, not as it appears to the uninitiated. 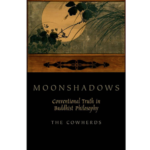 The chapter in Moonshadows is in almost all respects the same as a previously published paper in Philosophy East and West also titled "Taking Conventional Truth Seriously", which is available for free download (see below). Horn & Wansing survey the use of negation in classical and contemporary logic, and offer a helpful background for understanding the arguments presented by the Prasangika and Svatantrika schools in favour of their different approaches to establishing ultimate and conventional truth. They also clarify why the negation of an argument does not entail the affirmation of its opposite, which is why Nagarjuna is able to maintain that he holds no view. 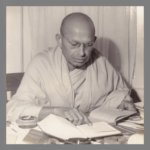 There is a wide-spread belief, particularly in the West, that the ideal of the Theravada, which they conveniently identify with Hinayana, is to become an Arahant while that of the Mahayana is to become a Bodhisattva and finally to attain the state of a Buddha. It must be categorically stated that this is incorrect [...] the fact is that both the Theravada and the Mahayana unanimously accept the Bodhisattva ideal as the highest. The Mahayana unequivocally says that a Buddha, a Pratyekabuddha and a Sravaka (disciple), all three are equal and alike with regard to their purification or liberation from defilements or impurities (kleshas). This is also called Vimukti-Kaya (Liberation-body), and in it there is no difference between the three. That means that there are no three different Nirvanas or Vimuktis for three persons. Nirvana or Vimukti is the same for all. But only a Buddha achieves the complete liberation from all the obstructions to the knowable, i.e., obstructions to knowledge, not the Shravakas and Pratyekabuddhas. This also is called Dharma-Kaya (Dharma-body), and it is in this and many other innumerable qualities, capacities and abilities that the Buddha becomes incomparable and superior to Shravakas and Pratyekabuddhas. This Mahayana view is quite in keeping with the Theravada Pali Tripitaka. Overview of the philosophical beliefs of the Samkhya (also spelled Sankhya) school. Very helpful for understanding Chandrakirti's negation of their views in 6:8-6:13, as the Madhyamakavatara does not articulate the views held by the Samkhya. Includes references to source texts for each of the four major schools. This material is covered briefly after Verse 6:23 in Dzongsar Khyentse Rinpoche's teachings on the Madhyamakavatara (pp. 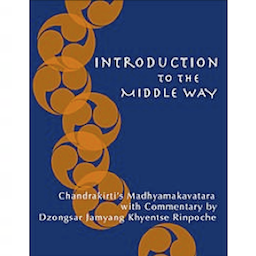 121-124 in the transcript Introduction to the Middle Way), and Thakchoe's overview is very helpful if you would like to understand the views of these schools in more detail. It is important to realize that svabhava (intrinsic nature) understood as substance that Nagarjuna rejects is not a theoretical posit, an entity an insufficiently sophisticated philosopher might postulate, but a kind of cognitive default, a way of superimposing something onto the world that is automatic and immediate and not the result of detailed theoretical reflection. We carry out such superimpositions when we regard the rapidly changing set of psycho-physical aggregates that constitutes us as a single, permanent, independent self but also in our daily interaction with other persons, medium-sized dry goods, linguistic representations and so forth. These then lead to all sorts of painful emotional entanglements and constitute the key source of suffering described in the Buddhist teachings. It is crucial to keep in mind in this context that the Madhyamaka distinguishes between the understanding of the absence of svabhava or emptiness and its realization. It is apparent that Madhyamaka philosophy is opposed to the brand of realism currently found in much of contemporary analytic philosophy [...] characterizes this succinctly as the claim that ‘most current common-sense and scientific physical existence statements are objectively and mind-independently (deflationary) true’). Things that exist in a mind-independent manner exist with svabhava, even though they might be dependent in all other kinds of ways. (Even if everything out there depended on every other thing, as long as the entire network of dependence-relations was mind-independent it would exist with svabhava). Of course the Madhyamika's talk of “mind-dependence” does not refer to dependence on any individual mind, as a solipsist would assume, but collective dependence on all the minds there are. (1) There are two ways in which a statement may be true, conventionally and ultimately. (2) Only dharmas are ultimately real. (3) Dharmas originate in dependence on causes and conditions. (4) Dharmas have intrinsic nature (svabhāva). (5) Suffering is overcome by coming to realize the ultimate truth about ourselves and the world. Nagarjuna does not deny that this is what dharmas would be like. Instead he rejects the further implication that there actually are dharmas. 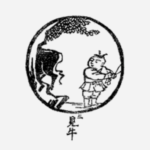 His position is that if there were ultimately real things, they would be dharmas, things with intrinsic nature; but there cannot be such things. Not only are the person and other partite things devoid of intrinsic nature and so mere conceptual fictions, the same holds for dharmas as well. This is what it means to say that all things are empty. 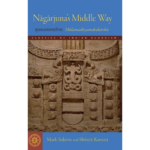 [From press release] Nagarjuna's renowned twenty-seven-chapter Fundamental Verses on the Middle Way (Mulamadhyamakakarika) is the foundational text of the Madhyamaka school of Mahayana Buddhist philosophy. It is the definitive, touchstone presentation of the doctrine of emptiness. Professors Siderits and Katsura prepared this translation using the four surviving Indian commentaries in an attempt to reconstruct an interpretation of its enigmatic verses that adheres as closely as possible to that of its earliest proponents. Each verse is accompanied by concise, lively exposition by the authors conveying the explanations of the Indian commentators. The result is a translation that balances the demands for fidelity and accessibility. 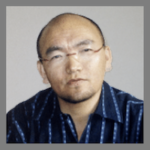 Winner of the 2014 Khyentse Foundation Translation Prize.